The other day I made a quick trip into Target (is there even such a thing?) and something caught my eye. 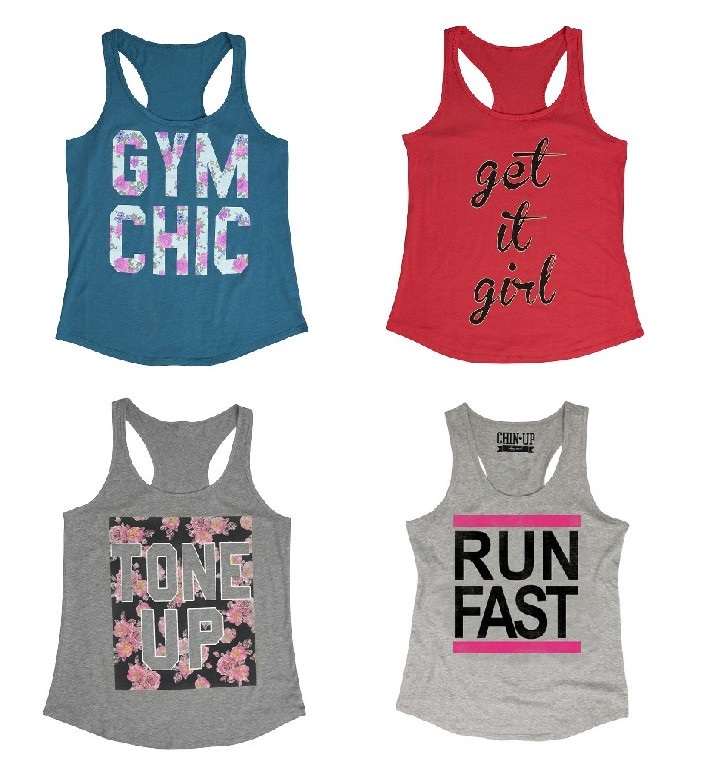 These tank tops are super soft, cute and inexpensive — perfect for making a statement at the gym! 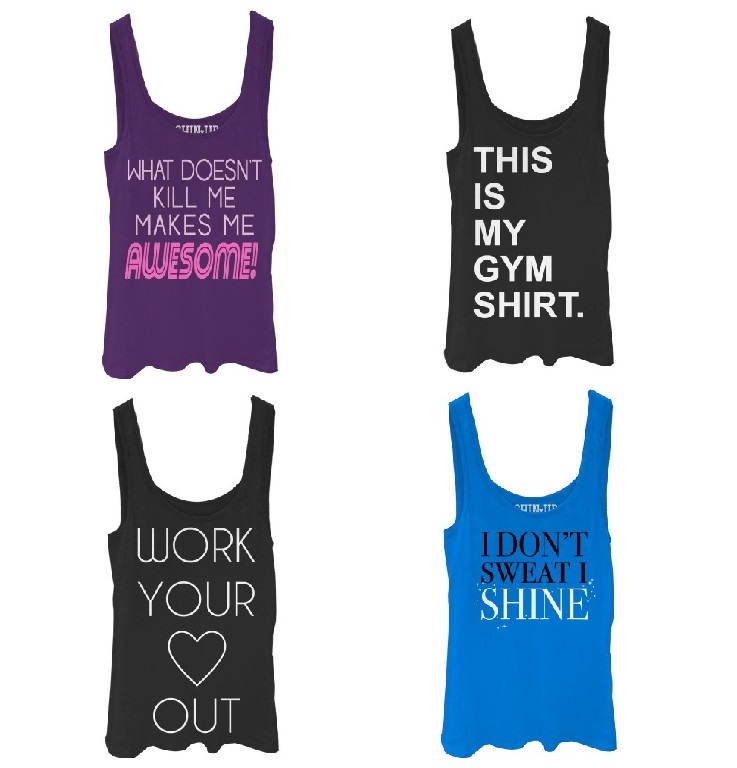 I think they’re even cute enough to wear outside the gym. Target changes the inventory frequently, so I’m not sure how long these tanks will be available. I noticed they were from Chin Up Apparel, so I took a look at their website since Target only had a limited selection. While you’re going to score a better deal by purchasing the Target designs, there are even more to choose from on the Chin Up Apparel page. I have to admit, right now I am in the phase of throwing on a pair of gym pants and one of hubby’s t-shirts to work out — but I know that feeling good is also a boost to my confidence. Looks like I’ll be making a few purchases in my future! Interested in joining Weight Watchers? Use my referral link for a free gift!